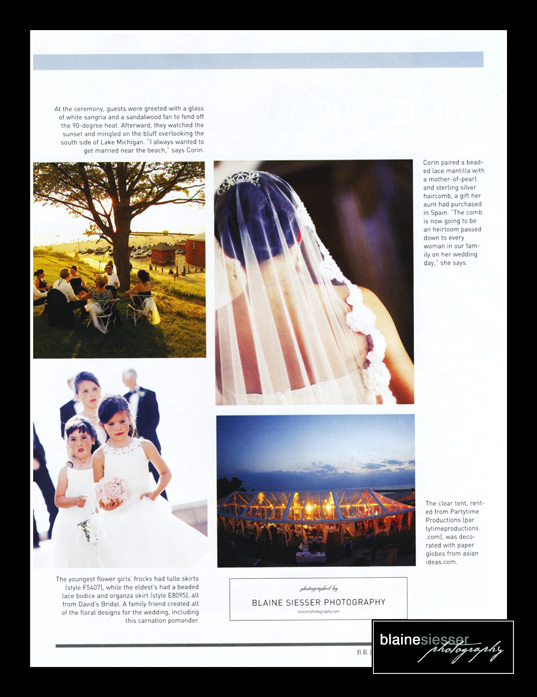 In the latest Michigan Bride you can see my photography as one of the featured weddings! Corin and TJ Got married and held their Reception and their Parents Lake House on Lake Michigan. They had an amazing Ceremony and The reception began as the sun was setting over the South Haven Lighthouse. Wow. To top that they had a string quartet play for the ceremony, and Marachay Band to kick of the Party, a Cover band Following them and an Acoustic band in the basement Bar. 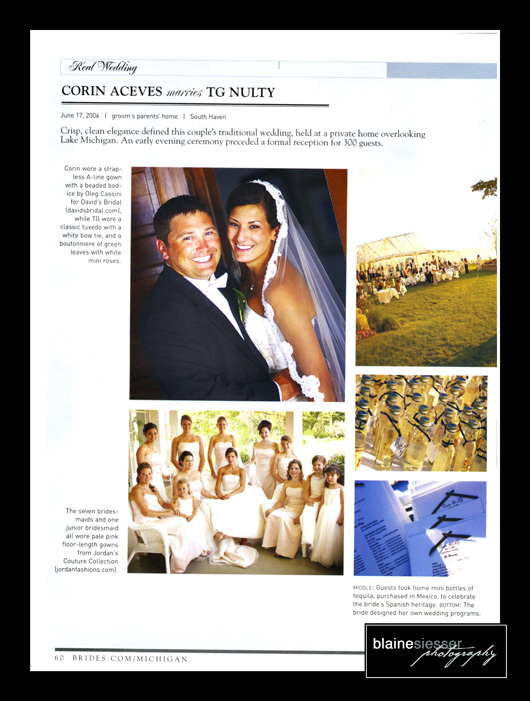 Most importantly Corin and TJ were a great match!